Wayne grew up in Chicago with a close-knit family that loved cars. Wayne became a career mechanic, purchased his own home, and was successfully providing for his three daughters. Life was going pretty well for Wayne, and then the worst happened: he lost his parents. After Wayne’s parents passed away, he struggled to cope with the loss and a deep depression set in. He lost his job, and could no longer afford his mortgage. Before long, he became homeless. Wayne ended up in Wisconsin where he survived by sleeping in abandoned buildings and parks. 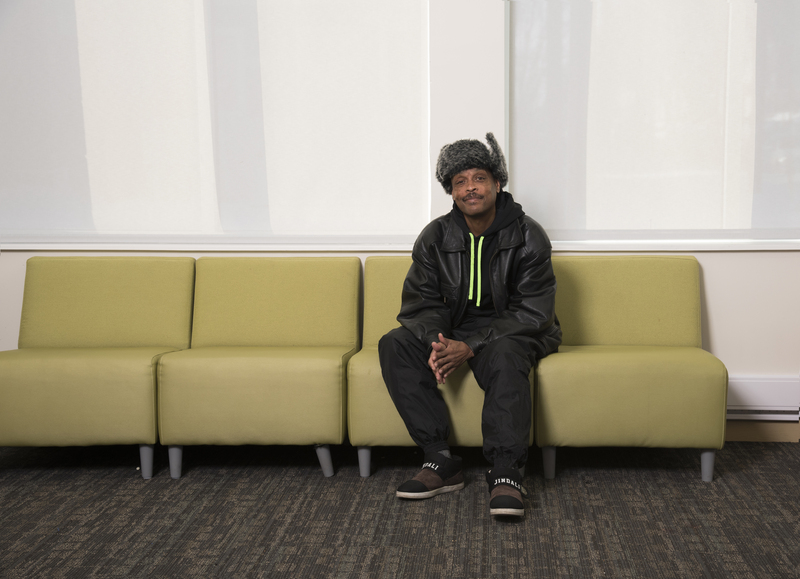 Eventually he gained access to services and got housing, but his situation was far from stable. His apartment was in a neighborhood high in violent crime and drug use. Wayne’s mental health suffered, and he struggled to maintain stability. Mental illness plagues millions of Americans and is a major contributor to homelessness — it’s what led Wayne to losing his home. May is Mental Health Awareness Month, which makes it a great time to talk about the connection between housing and mental health. The affordable housing crisis is complex, encompassing a variety of issues and mental illness is a contributor that can’t be ignored. 1 in every 5 adults in America experiences mental illness. Approximately 26% of homeless adults staying in shelters live with serious mental illness. Nearly 60% of adults with a mental illness didn’t receive mental health services in the previous year. Nearly 50% of youth aged 8-15 didn’t receive mental health services in the previous year. Where does affordable housing come in? For many people, having affordable homes can make the difference between success or living on the street. When Wayne found Mercy Housing Lakefront, he moved into a Mercy Housing community in Wisconsin that offers supportive services. The opportunity for a fresh start in a vibrant, amenity-rich neighborhood on Milwaukee’s east side has done wonders for him. Wayne enjoys the services provided by onsite staff and is incredibly grateful for the opportunity to piece his life back together.